Believe it or not, we are headed towards the homestretch of the fantasy football season. On top of the homestretch, this is the second to last week that you have to endure bye weeks. If you have any confusion and whom to start and whom to sit this week, you have come to the right place. There are plenty of intriguing matchups this week and you can read about some of matchups below. 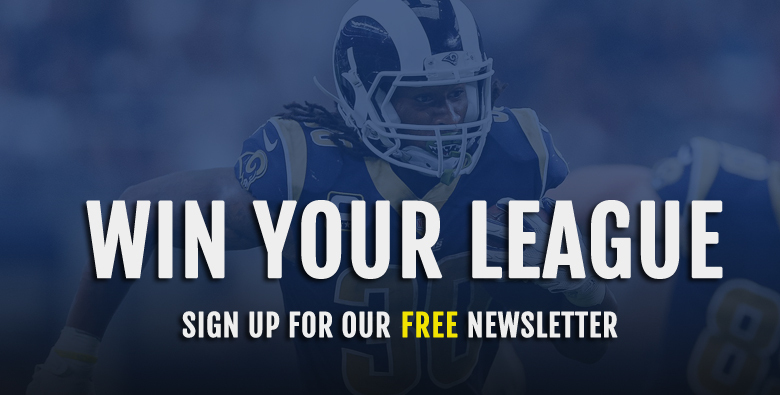 Be sure to check out all of the other awesome content that Gridiron Experts has to offer. As always, one of the biggest things to keep in mind when figuring out who to start and who to sit is to take a look at the teams that have a bye week. This week could be dicey as for the second time this season we have six teams on bye. In Week 11, the Dolphins, Patriots, Bills, Jets, Browns, and 49ers all have the week off. To quickly recap Week 10, Matt Breida was easily my best call of the week. Matt Ryan would finish his week just outside the top 10 but my major spot in which I fell short was recommending Mitch Trubisky as a sit. I think it is safe to say, considering schedule and performance, Trubisky is an every week starter going forward. With all of that out of the way, let’s get back to some starts and sits in Week 11. Prior to last week, the Dallas Cowboys had allowed just two top 10 performances to the quarterback position. 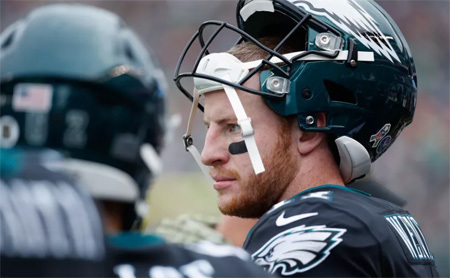 Then came Carson Wentz, and despite the loss, Wentz was able to finish the week as the tenth best quarterback. Now, Wentz will go up against a Saints defense that is allowing the most points to the position. It is also worth noting that those points allowed have been fairly consistent throughout the season as the Saints have allowed quarterbacks to have a top five week four times. Understandably so, a lot of the talk around this game is about the slew of injuries in the Eagles secondary. This will most assuredly open things up for Drew Brees and the Saints offense and I have faith in Wentz to play catch up and deliver a solid fantasy outing. 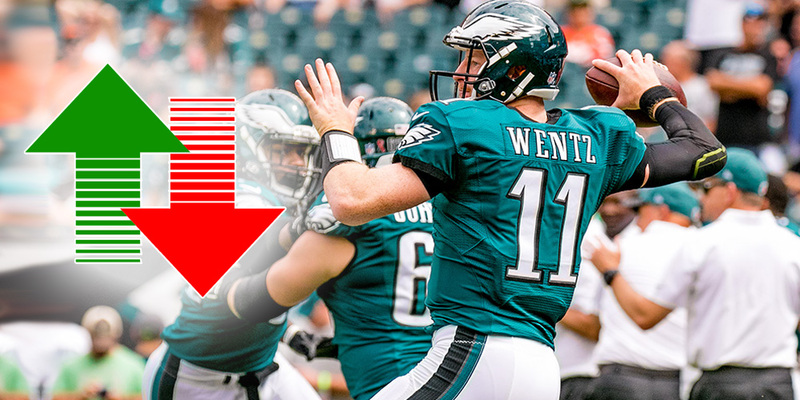 The Eagles aspirations to repeat may be in doubt, but with four top 10 performances in six games this season, Wentz still holds some serious fantasy value. New York sports is a funny thing. Prior to Monday’s win over the 49ers, Giant’s fans were swarming the radio airwaves and demanding that the Giants banish Eli Manning from the tri-state area. Tuesday morning, it was less about Manning being banished and more about his eligibility for the Hall of Fame. While the Hall of Fame is a debate for another day, in regards to Week 11, I’m going to ride that wave of emotion and say that Manning is in line for another productive game. For Eli Manning, at this point in his career, potential production does rely on his opponent. Three out of the four games in which Manning has finished in the top 15, has come against opponents in the top ten in points allowed to the position. That is good news for Manning owners this Sunday, as the Giants will take on a Buccaneers defense that is allowing the fourth most points to the quarterback position. His schedule isn’t so favorable the rest of the way, but in Week 11, there is still a little bit of fantasy value left in the tank. His starting percentage is low but if you are dealing with bye week problems, I would urge you to not buy-in on a bounce-back week from Andy Dalton. Last week, while suffering a beatdown at the hands of the New Orleans Saints, Dalton would be nonexistent to fantasy owners. The Bengals signal callers would have his fewest completions since December of last season and with Marvin Lewis ‘hoping’ that AJ Green will be a participant this week, I do not see things getting all that better on Sunday. 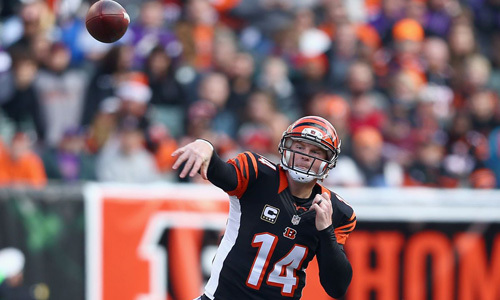 In this weekend’s matchup, the Bengals will take on division foe, the Baltimore Ravens. On top of possibly missing his star wide receiver, Dalton has not played as well on the road in 2018. After nine games this season, seven of Dalton’s ten interceptions have come on the road. As for the Ravens, their bye week came at a good time as they allowed a top-five performance to the quarterback position in week’s 8 and 9. That being said, those games came against teams in a much better situation than the Bengals now find themselves in. If you are a frequent visitor to this column, you would know that Alex Collins tends to be a sit option more than he is a start option. This week though, I’m flipping the script and recommending that you start Collins against the Cincinnati Bengals. Currently, the Bengals are allowing the fourth most points to the position. That ranking is magnified most recently as the Bengals have finished in the top three in points allowed to the position in two out of their last three games. That one game in which they didn’t finish in the top three, came against a Buccaneers defense that has made abandoning the run a habit in 2018. Point being, the Bengals are a very attractive matchup. As for the Ravens, their quarterback, Joe Flacco is currently nursing a hip injury that has his status for this week very much in doubt. No matter if it is Joe Flacco, Robert Griffin III, or Lamar Jackson, the Ravens will be in a position to rely on the run. Collins has had limited carries but has still been able to score four touchdowns over his last four games. While Mitch Trubisky and the rest of the Bears offense have been turning heads, Jordan Howard has fallen short of fantasy expectations. The Bears running back has had just two games with 20 or more carries and hasn’t had a game with 100 yards rushing since December of last season. On top of a dwarfed workload, Howard and the Bears will play host to a Vikings defense that has allowed just two touchdowns all season long. Since week 6, the Vikings have had three weeks in which they have finished eleventh or better in fewest points allowed to running backs. I envision both teams struggling with running the ball in this one, and considering that along with workload, I cannot buy into Howard this week. Those who know me are aware that I’m a pretty big critic of Sammy Watkins. 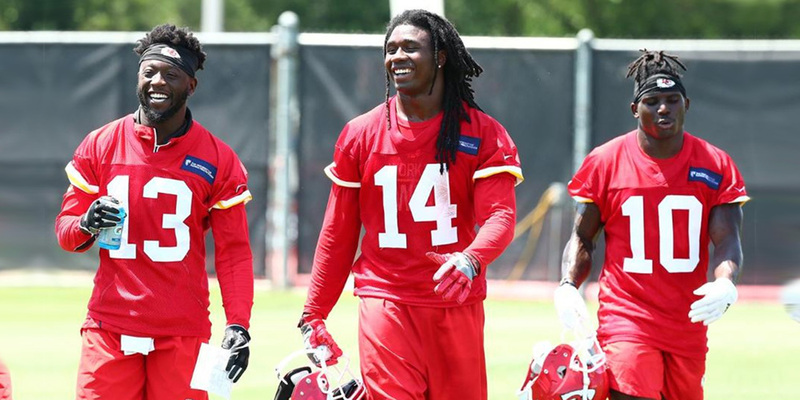 Even in this column, Watkins has bounced back and forth from start’em to sit’em on a routine basis. 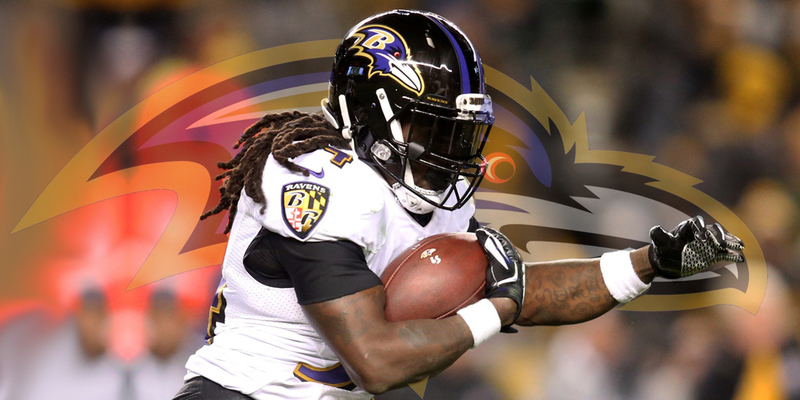 In Week 11 though, Watkins is expected to return to the field and I’m buying back in. 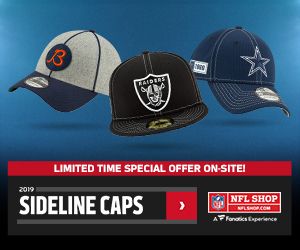 This Monday, it will be the Chiefs against the Rams, and no matter if this game is played in Mexico City, Los Angeles, or anywhere else on the planet earth, you can expect plenty of fantasy points. All seriousness though, this game has been relocated to the LA Coliseum and the Rams, from a defensive standpoint, are ripe for the picking. The Rams have been dealing with injuries in the secondary and over their last three games, they have allowed 808 passing yards and eight touchdowns. Simply put, this is a game in which all skilled position starters are fair game, Watkins is no different. Critic or not, it is hard to deny starting anyone in this matchup. This is an interesting week for wide receivers in this column as last week’s start’em selection has swapped places with the sit’em selection. As it pertains to Tyler Boyd, his matchup against the Saints last weekend spoke volumes. With an opportunity to shine as the number one wide receiver, Boyd shrunk under the opposing teams best coverage. Boyd would be targeted just four times and would fail to score a touchdown. That performance would put Boyd outside the top 30 at his position and I do not see things getting all that better on Sunday. Prior to their bye week, the Ravens had a tough stretch of opponents. The Bengals, in their current state, are a far cry from the Saints, Panthers, or Steelers. Once AJ Green returns, I have all the faith in the world in Boyd returning to his productive ways. As of this writing, Green’s status for this Sunday hasn’t officially been confirmed and until he returns, I think Boyd and the Bengals offense as a whole will have their issues. While George Kittle has been the biggest surprise at tight end this season, Austin Hooper has also made his fantasy owners smile. 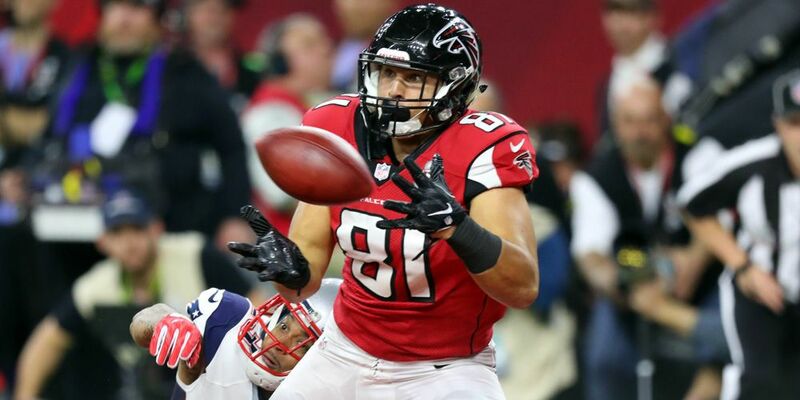 The Falcons tight end has had three top-five performances in his last five games and will be taking on the Dallas Cowboys this weekend. So far this season, the Cowboys are in the middle of the road in regards to points allowed to the tight end position. If you look closer though, in the two weeks since coming off of their bye, the Cowboys have been in the top 10 in most points allowed to tight ends. The most notable of those two weeks came last Sunday night as Zach Ertz would torch the Cowboys for 145 yards and two touchdowns. As for Hooper, he is coming off a performance last week in which he had 10 receptions, for 56 yards, and a touchdown. I understand his starting percentage is low but in case you have some bye week troubles, I would still recommend that you keep Benjamin Watson on your bench. While Watson has had flashes of fantasy production, he has been a little too inconsistent for my liking and his opponent doesn’t help matters. This week, Watson and the Saints will be taking on an Eagles team that is giving up the third fewest points to the position. That season-long ranking even holds true even holds true as of late as the Eagles have allowed an average of 6.8 points over their last three games. Watson can be hit or miss and this week, I’m expecting a miss. I could just be clever and say that the Cardinals play the Raiders and end it there, but I’ll refrain. Despite what the majority may think about the Cardinals, the team has played pretty well defensively. In nine games this season, they have a quarterback to finish in the top 10 once. They are tied for fourth in interceptions and tied for twelfth in sacks. As if that’s not enough, they are in the top 10 in fewest points allowed to three out of the four major positions. So yes, just to circle it back to the top, they are playing the Raiders. The Cardinals are more than likely available in your league, so lock and load. As mentioned earlier in the column, the Rams defense has had a tough time keeping points off of the board and will now go up against a Kansas City Chiefs offense that has been one of the most explosive in football. While Pat Mahomes isn’t perfect, he has been intercepted just seven times and the Chiefs as a whole have only lost one fumble. The Rams may turn it around at some point, but it won’t be this Monday.